Question: Will CAHA use or see my Social Security Number? Answer: No, only NCSI will have access to your Social Security Number. An applicant’s Social Security Number will not be released to CAHA. Question: How long does it take to complete the online process? Answer: Approximately 10 - 15 minutes. Question: NCSI requested additional personal information to conduct my background screening. Do I have to provide this? Answer: Yes, NCSI may request additional information, such as a state issued photo ID to verify identity. Question: How long does it take before I get my results back? Answer: The background check generally takes 10 business days to complete and you may check your status by going to the NCSI website, www.ncsisafe.com and clicking the "Check Your Background Status" link. Question: How will I know if I have been screened or when I need to be re-screened? Answer: The Compliance List of applicants with an expiration date can be found on the Screening Program webpage of www.carolinahockey.org. A background screening is valid for two (2) seasons. PLEASE CHECK THE COMPLIANCE LIST FOR YOUR EXPIRATION DATE AS SCREENING MAY NOT BE REQUIRED THIS SEASON. All currently screened adults are eligible to participate in a youth program up to their screening expiration date. A new background screening must be complete prior to the expiration date to continue participation. Question: How many people will need to be screened? Answer: Adults aged 18 and over serving in positions as defined by the CAHA Safe Sport list. All persons participating in a youth program with regular, routine or frequent access to or supervision over minor participants (anyone under the age of 18) require screening prior to participating in any CAHA and USA Hockey sanctioned event, including but not limited to all team activities and any other "on ice" or "off ice" hockey activities. Also, individuals whose screening expired must complete a new screening prior to the expiration date to continue participation in a youth program. Question: I have coached in CAHA several years. Why is my name not on the Compliance List? Answer: If your screening was performed through the Southeastern District Officiating Program, your name will appear on their Compliance List. Only individuals screened through CAHA's NCSI Self Registration Numbers will appear on the CAHA Compliance List. Question: Who will monitor the list to verify compliance? Answer: Your local association must monitor the Compliance List to verify all volunteers or employees of the association have completed the background screening process. Question: How often will be Compliance List on the website be updated? Answer: During the Fall/Winter season, the Compliance List will be updated on a weekly basis. During the Spring/Summer season, the list will be updated on an as needed basis. Question: I completed a background screening through the Southeastern District Officials Program. Will that screening be valid for CAHA? Question: What if I have questions about the process? Answer: The CAHA website describes who should be checked, the screening criteria and how to complete the process. If you have additional questions, contact information is listed for members of the Screening Committee to provide further assistance. Question: What if I do not complete a background screening? 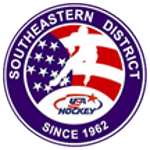 Answer: Noncompliance will disqualify an individual from participating in all USA Hockey youth programs.